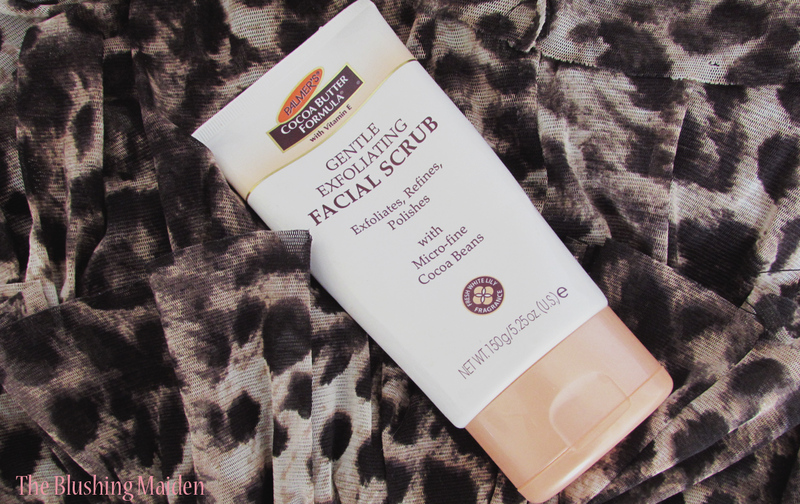 Today I am reviewing the Palmer's cocoa butter formula Face Scrub, I bought it about 3 months ago and I've been using it twice a week ever since. I really like this scrub, it's very gritty - which is something I like, I like to feel that it's actually doing something, I hate when I buy a face scrub and it's basically just a face wash with one or two odd beads in it. 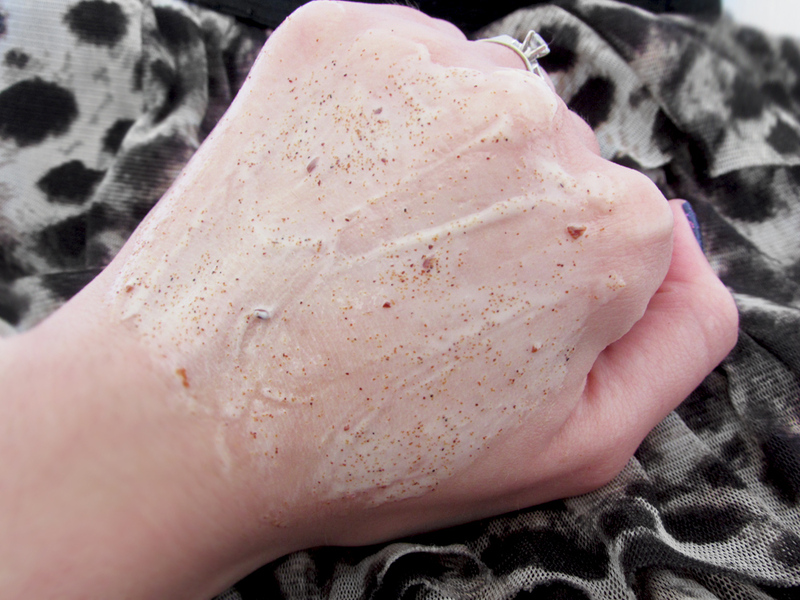 I have very sensitive skin and although this scrub is gritty, it doesn't irritate my skin at all. But because of the rather rough texture, I'm always careful not to get too carried away with it, you really don't have to apply much pressure when using it. On the tube it states it's "Fresh white lily fragrance". Quite frankly, I don't care for the smell of this scrub. That's the only thing that I don't love about it, but it's not a deal breaker, I think I've gotten used to it because it doesn't bother me as much anymore, and luckily the scent doesn't linger on your skin after rinsing the scrub off. After using this scrub my skin is as soft and smooth as a baby's bottom ;) Haha I've always found that saying funny. It also isn't drying on my skin at all, which is a big plus since winter has been taking it's toll, and my poor skin has been suffering lately. A 150g Tube retails for around R78.00 and you get A LOT of product, after three months my tube still looks almost full, and I'm very generous when applying it. It's a nice thick, creamy scrub that doesn't drip or run. It has become an absolute must have for me, and I'm definitely planning on trying the rest of the Palmer's range in the near future. Water, Sodium Lauryl Sulfoacetate, Soybean oil, Poloxamer 407, Glyceryl Stearate, PEG-100 Stearate, Cocoa Extract, Polysorbate 80, Glycerin, Walnut Shell powder, fragrance, Stearyl Alcohol, Cocoa Seed Butter, Cocoa Seed Powder, Shea Butter, Aloe Barbadensis Leaf Juice Powder, DMDM Hydantoin, Hydroxyethylcellulose, Tocopheryl Acetate, Methylparaben, Hydrolyzed Milk Protein, Propylparaben, Tetrasodium EDTA, Evening Primrose Root Extract, Propylene Glycol, Phenoxyethanol, Ethylparaben, Butylparaben, Isobutylparaben, Benzyl Salicylate, Benzyl Benzoate, Butylphenyl Methylpropional, A-Isomethyl Ionone, d-Limonene, Linalool, Citronellol. I thought I would also mention that Palmer's is against testing on animals, which is always a plus in my books.